July 23, 2018 – All active registered voters will be mailed a ballot beginning October 15, 2018. Mail ballots must be returned to the Elections Office by 7:00 p.m. on Election Day, November 6, 2018. 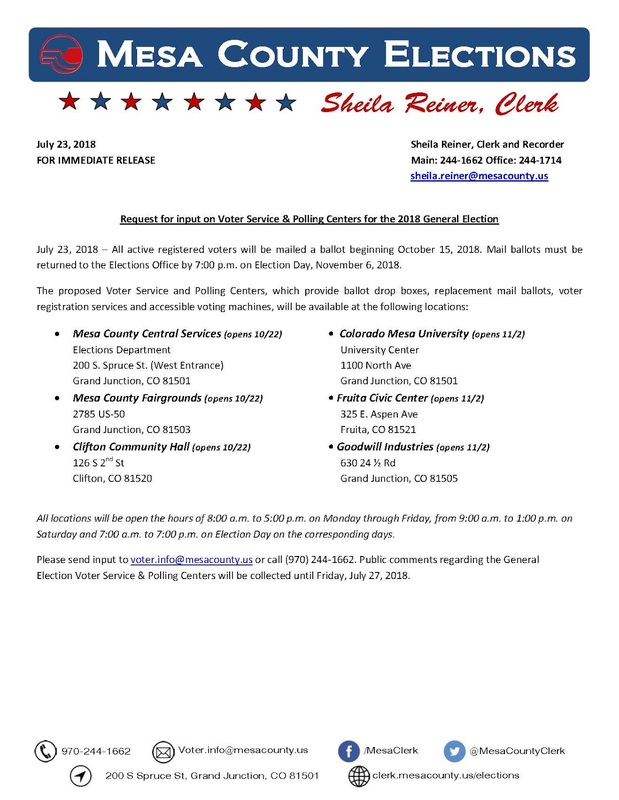 All locations will be open the hours of 8:00 a.m. to 5:00 p.m. on Monday through Friday, from 9:00 a.m. to 1:00 p.m. on Saturday and 7:00 a.m. to 7:00 p.m. on Election Day on the corresponding days. Please send input to voter.info@mesacounty.us or call (970) 244-1662. 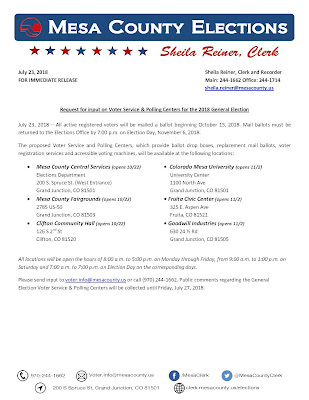 Public comments regarding the General Election Voter Service & Polling Centers will be collected until Friday, July 27, 2018. Copyright Mesa County 2015. Awesome Inc. theme. Powered by Blogger.